Although we’d love to say we’re used to this cold by now, we’re really not. And for a Friday night, it’s not the best news to hear that it’s going to feel as frigid as ever. 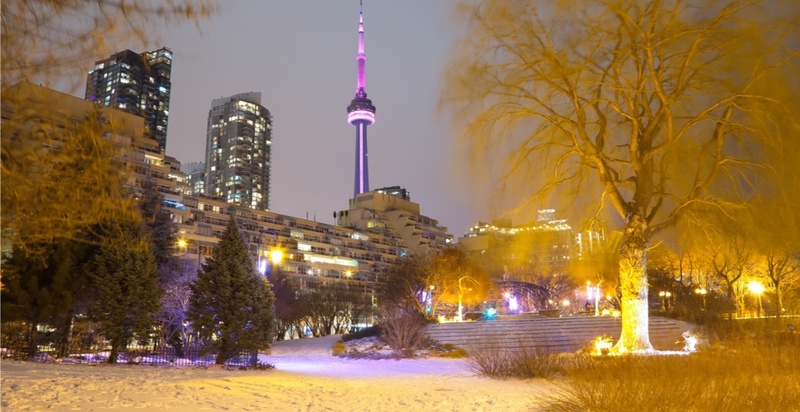 Environment Canada is forecasting temperatures in Toronto will be -13°C on Friday night. With the windchill it’ll feel more like -25°C. In fact, it already feels like -18°C with the windchill in Toronto as of 4 pm. And to add to the weather excitement, it’s actually going to get colder on Saturday. The high on Saturday is only getting up to -11°C, although we will get to see some sunshine. As for tomorrow night, might as well cancel all plans. 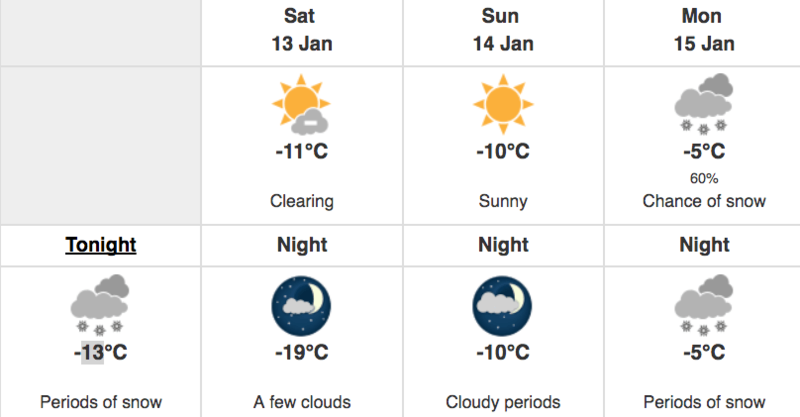 It’s going to be -19°C, or more like -28°C with the wind chill. So, once again, just stay inside, Toronto.